Trudging around bars, restaurants and rainy pavements in sky-high heels doesn’t sound very fun to us. 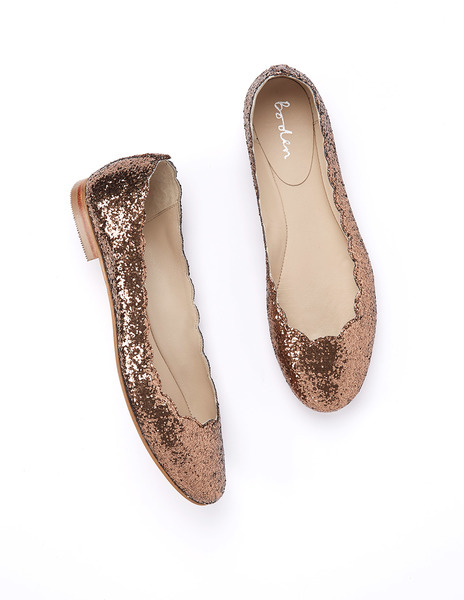 And besides, after half an hour on the dance floor, everyone takes them off anyway – so start the Christmas party as you mean to go on with our round-up of the most festive Christmas flats this year. Oh, and they’re all available now in the UK, starting at just £8. Because we love you as much as you love your poor danced-out feet. 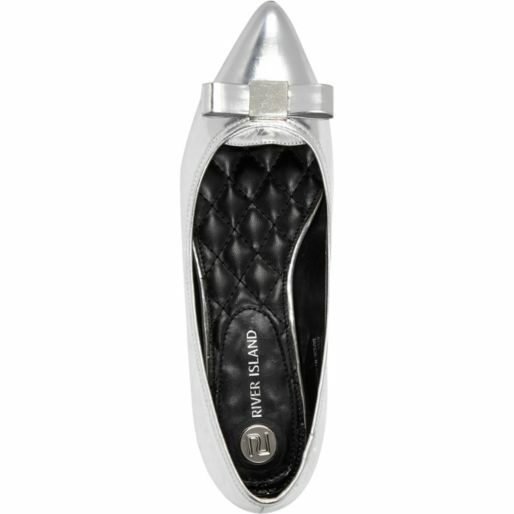 Classy, stylish and silver – they even have a gift bow. Perfect. 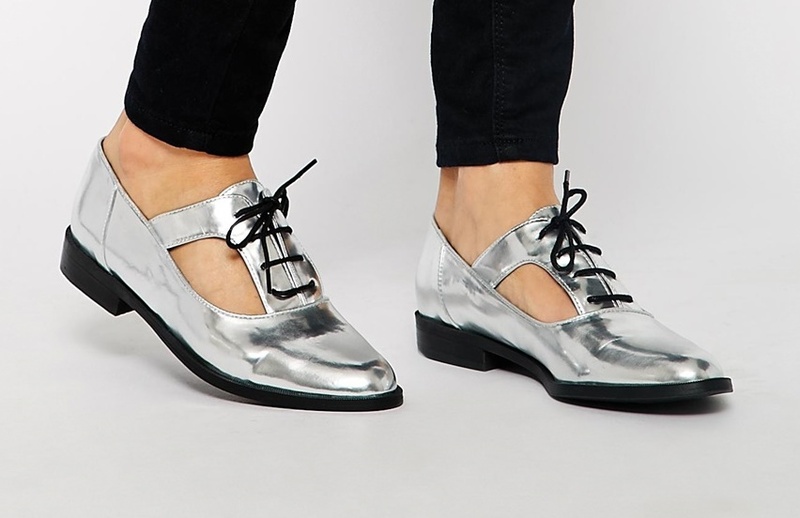 Get them for £25 from River Island. 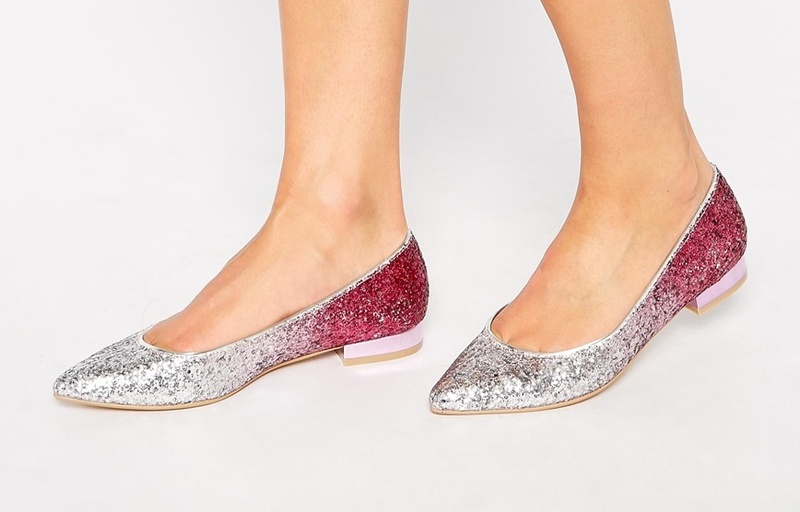 The middle of your feet might get a bit nippy, but these glittery numbers will be worth it every time you glance at your twinkle toes. 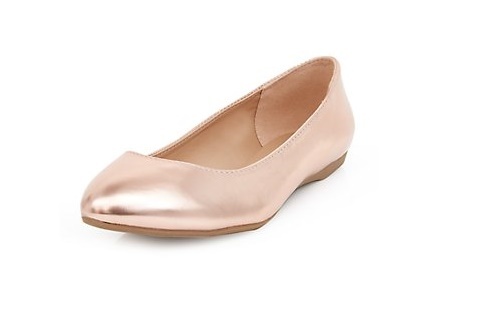 Oh-so-shiny, these scalloped ballerinas come in a range of colours, so you can co-ordinate them with your Christmas dress. Or just get them all. How festive are these?! 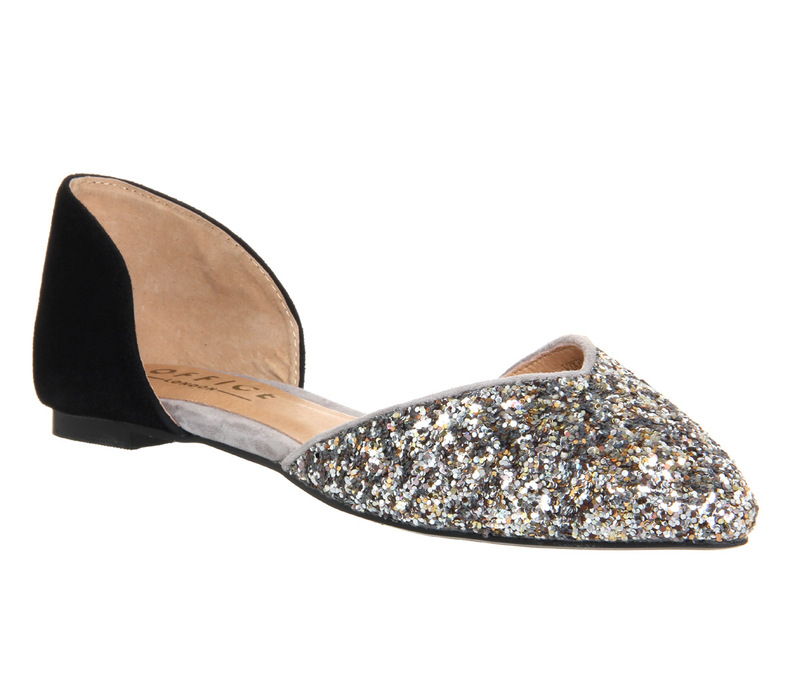 Jewels, slingbacks and mirror-effect shine combine for a pair of flats that say “party” more than most heels. 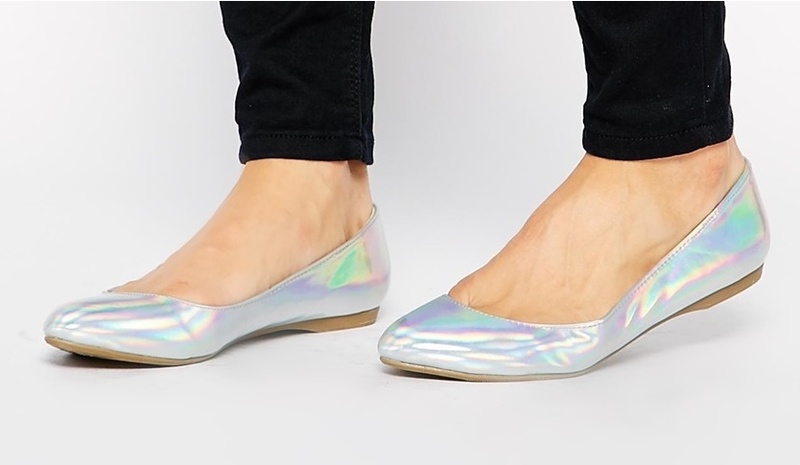 We can’t get enough of holographic shoes, and these are a perfect example. Editor Holly gets compliments every time she wears them. 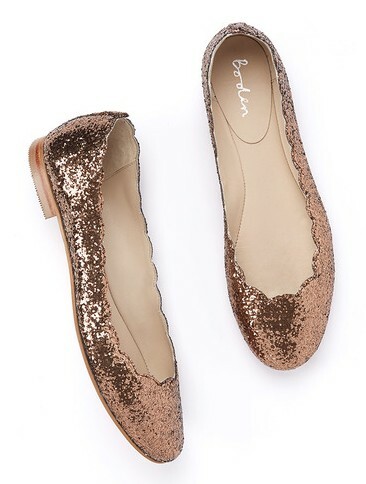 The definition of day-to-night, these glitter flats are business in the back, party in the front. Love. There’s only one thing more Christmassy than gold, and that’s holographic gold. 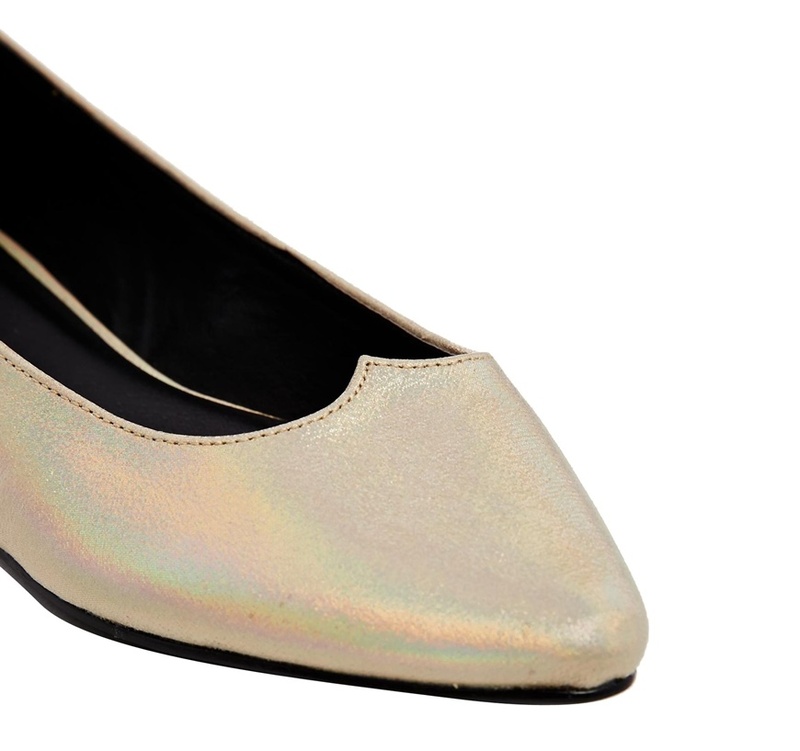 The rainbow sheen on these adorable flats makes them perfect for partying. Available in bronze, gold and pewter, these metallic V-shaped shoes are a super-stylish way to go from daytime to party time. There’s festive, and then there’s these. Super-glittery, extra-gold and more than a bit bling, they’re not for the faint hearted. But if you can’t overdose on glitter at Christmas, when can you? We’re dreaming of a sparkly white Christmas, and so can you with these. They go all the way up to size 9. 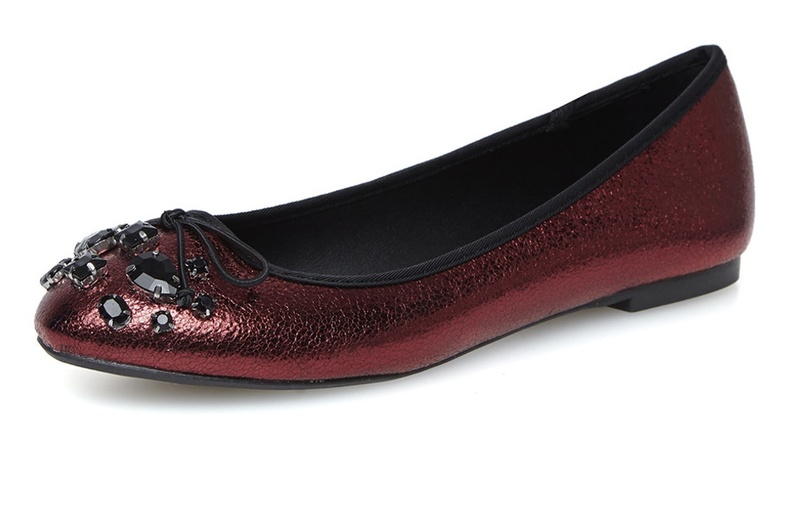 These jewel-encrusted metallic red pumps couldn’t be more Christmassy if Santa himself was wearing them. Gorgeous. These comfy flats are lined with memory foam and fold up into a drawstring bag, making them ideal for keeping in your bag ’til party time. The big, fluffy pompom elevates these slippers from comfy loungewear to partytown. Yet they’re still as comfortable as your Rudolph sweater-socks. Win-win. 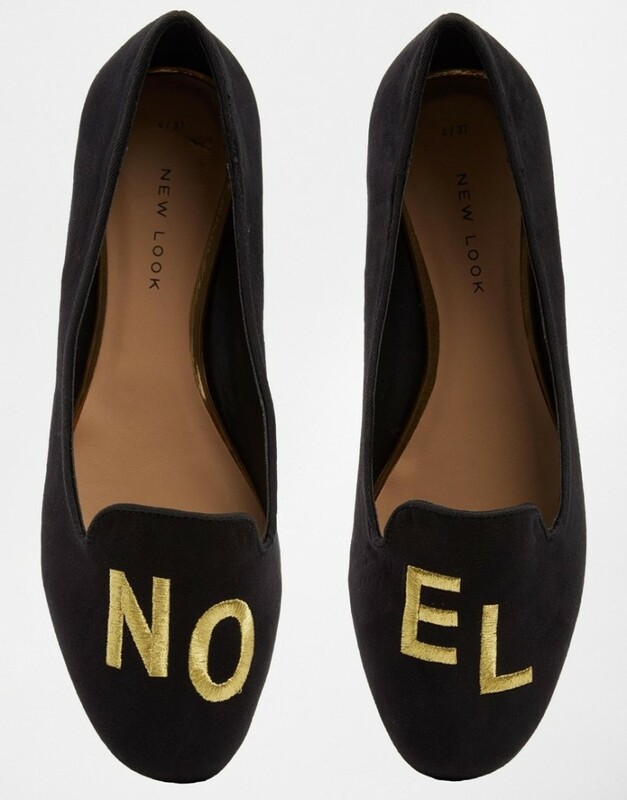 If you’re not feeling sparkly bows and girly detail this Christmas, these ombre brogues are perfect. 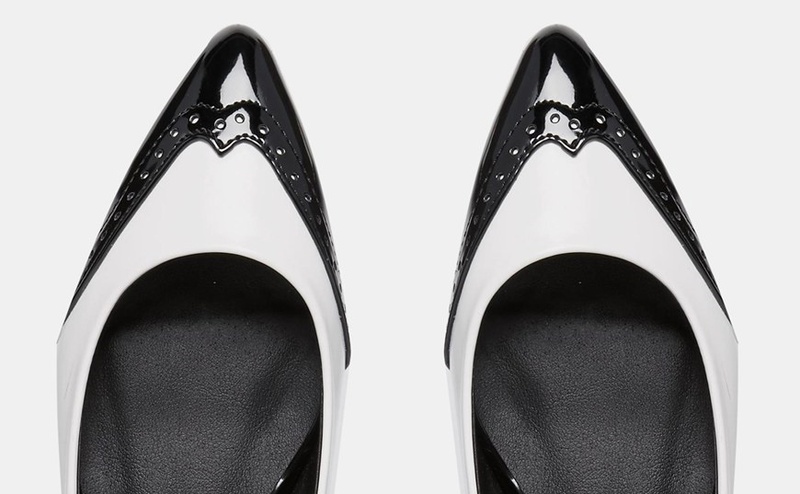 In mirror-shine patent, they’ll lend a little edge to your outfit. 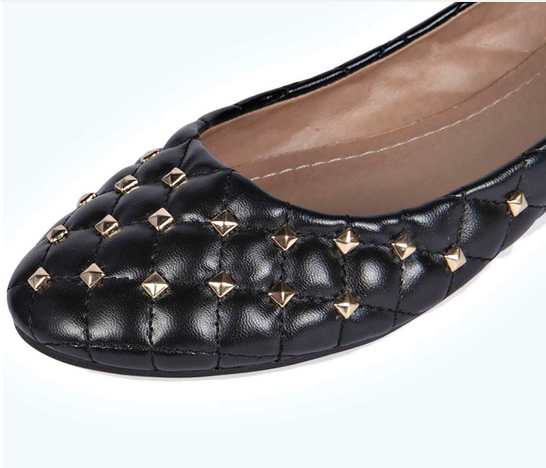 Add a rock-chick twist to your Christmas outfit with these studded numbers from Boohoo. 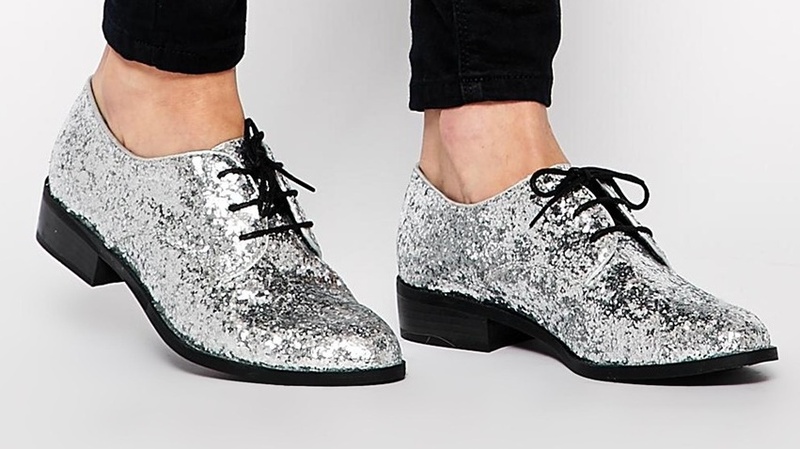 We’re all about the festive brogues, and they don’t come much jazzier than these. Guaranteed to get some love on the dance floor. These wouldn’t look out of place hanging on your Christmas tree. 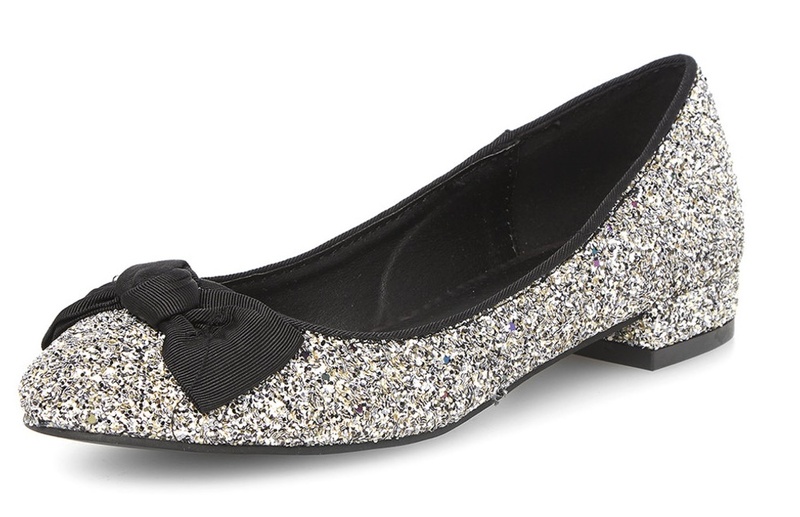 Glittery and fun, they’ll put a sparkle in your step. 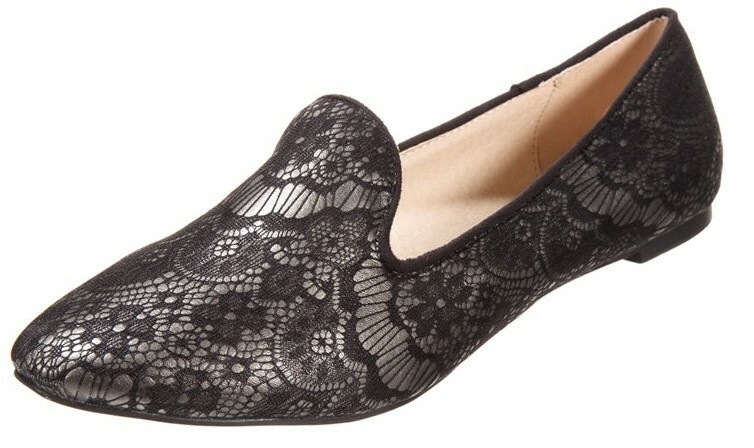 Like a silent night, these ballet flats are a deep, inky blue with a sprinkling of sparkle. 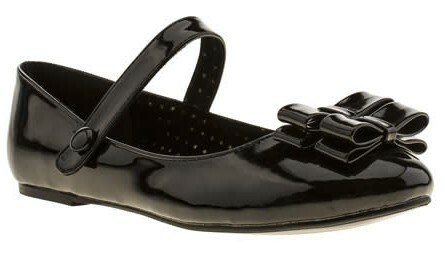 With their simple strap and double-bow detail, these classy flats are the perfect finish to a party dress. How do you get away with wearing basically slippers to the Christmas party? By covering them in lace, that’s how. 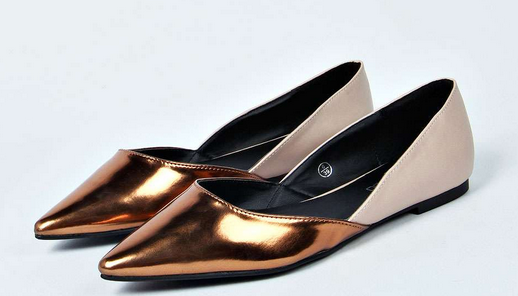 Simple and chic, these bronze pointed courts make a stylish change from gold and silver. There’s something irresistibly beautiful about ombre shoes, and these are our favourites. Pink, silver, glitter – sold. 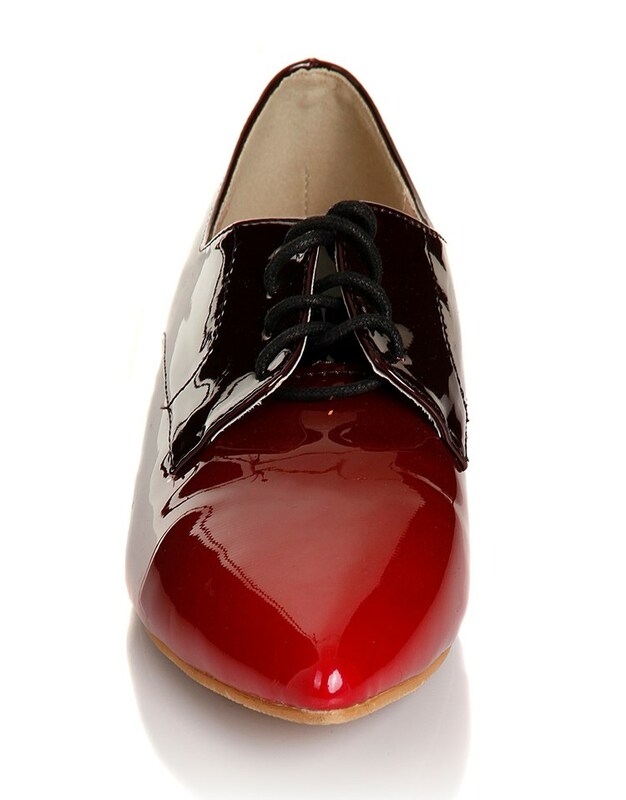 This quirky twist on a classic lace-up shoe is a cute way to do cut-outs this Christmas. GOLD! Always believe in these soles. Ridiculously comfortable, perfectly Christmassy. Brilliant for casual parties and Christmas drinks. 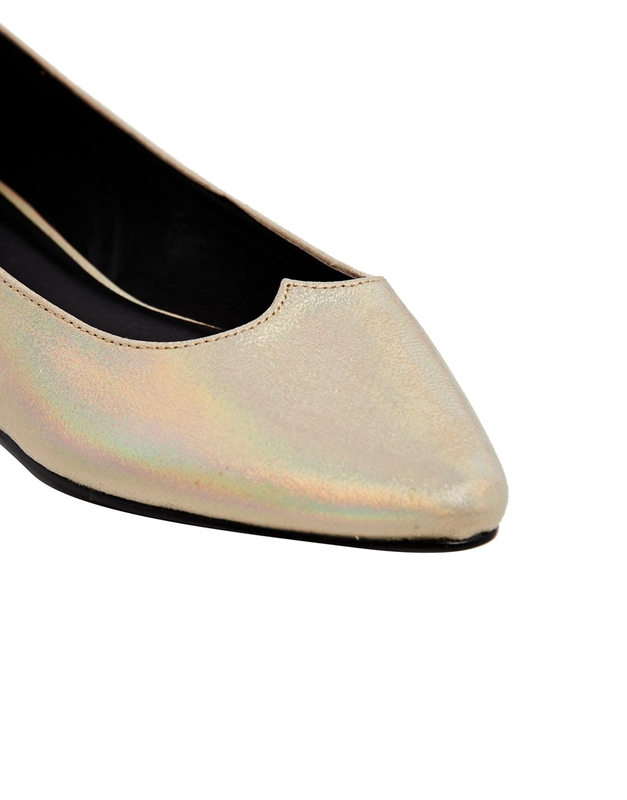 These extra-glossy mirror-shine flats will ensure you shine brightest this Christmas. 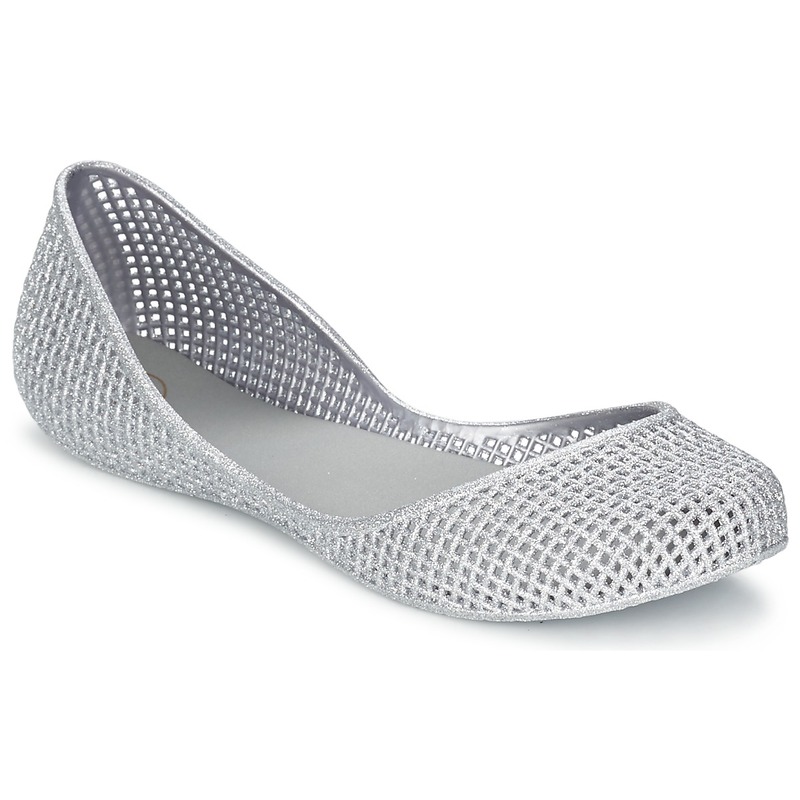 These pretty, frosted flats look like they’ve been dusted with snow. Versatile and cute. Yay, more bows! 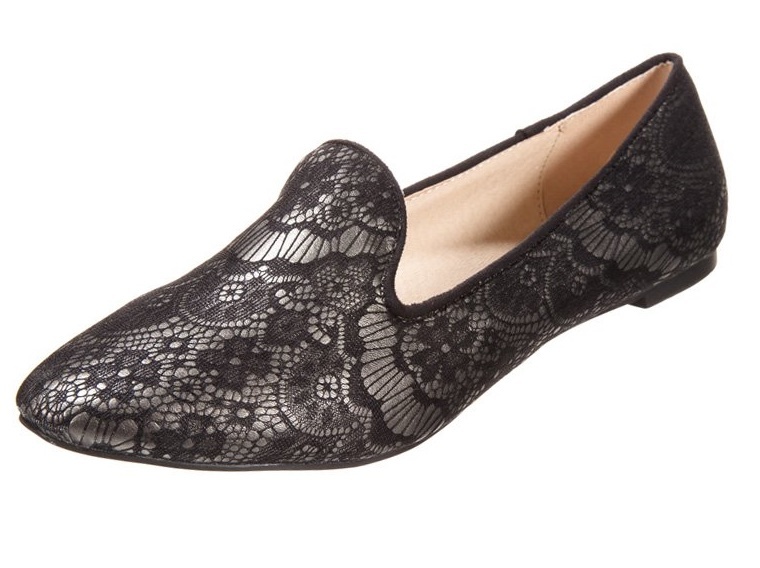 Consider these classy flats a present to yourself. 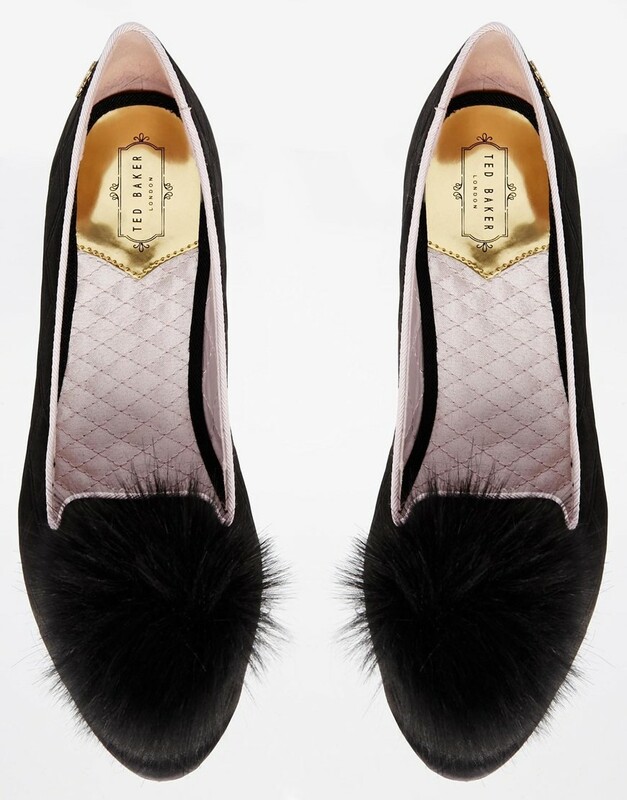 Available in black, blue, pink and baby pink, these Ted Baker numbers don’t scrimp on the sparkle. They’re about £40.35 from Amazon UK, depending on the size. 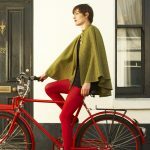 Much more expensive-looking than they actually are, these froofy flats are an easy way to accessorize a Christmas dress. Unless it’s raining, in which case you might want to go for something a tad less fluffy.